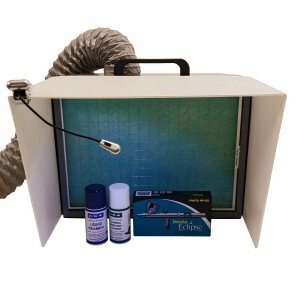 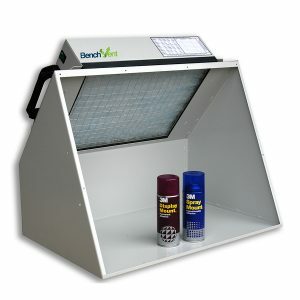 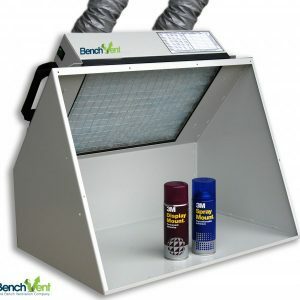 The BenchVent BV260S re-circulating spray booth is bigger than the BV300S and with its 2 external rotor axial fans, it’s as powerful as the more expensive BV200S. 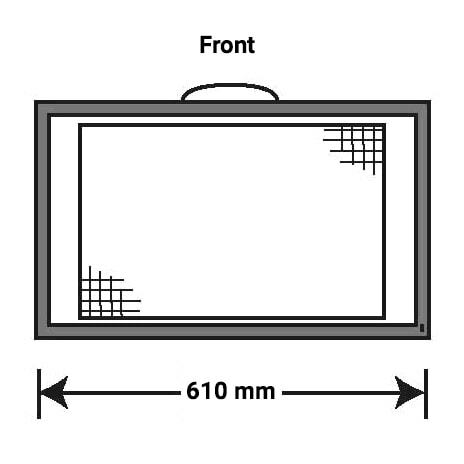 It can take up to B3 size artwork, which is between an A3 and an A2 size 3. 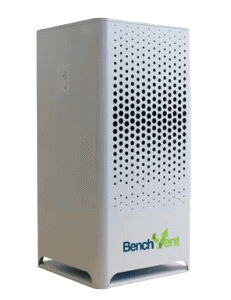 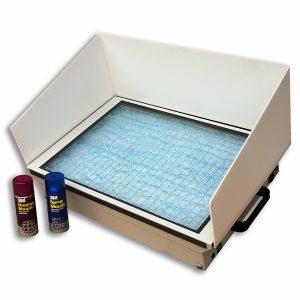 This is a re-circulating unit, and doesn’t require an external vent. 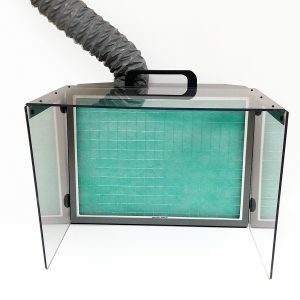 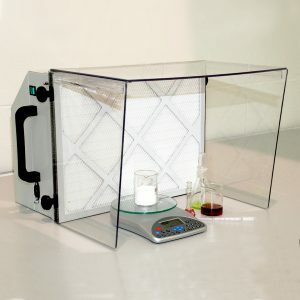 Instead, it is fitted with activated carbon fibre filter, which makes it suitable for use with solvent fumes. 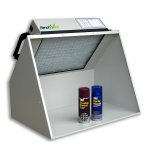 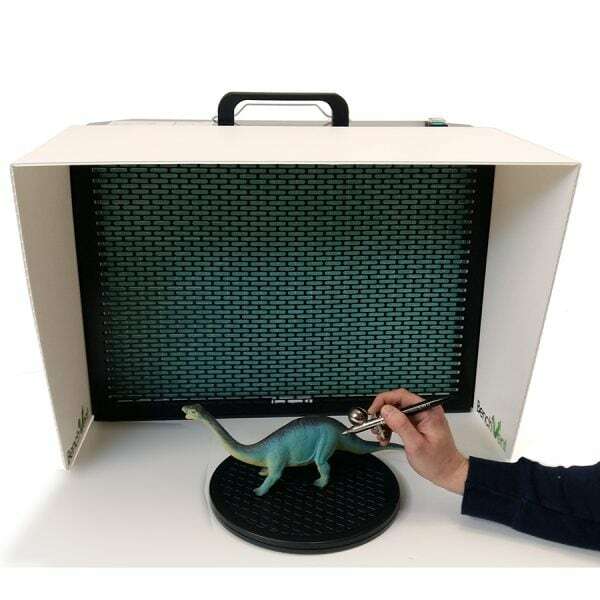 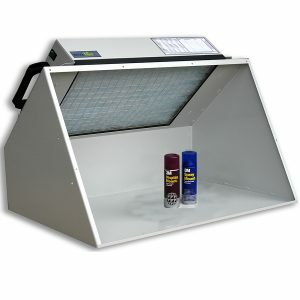 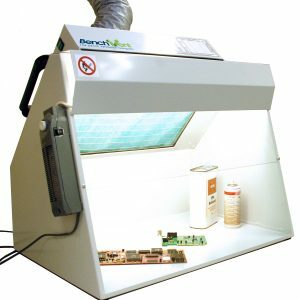 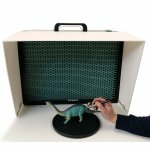 Place the unit on a desk, bench or trolley, attached the shield, plug in and switch on. 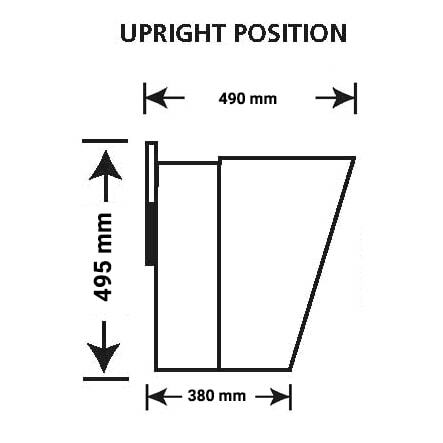 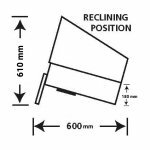 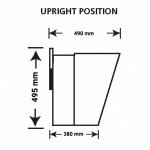 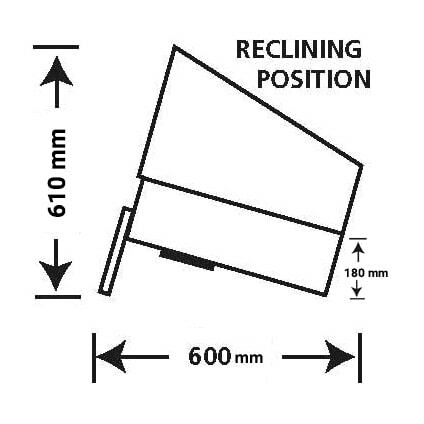 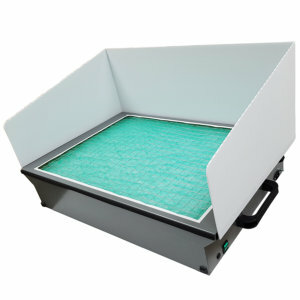 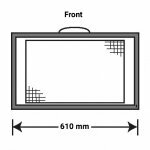 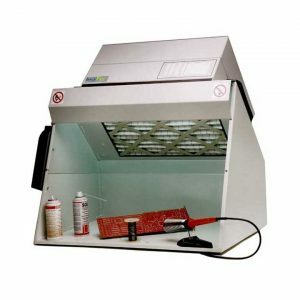 Reclining (on back stand) – ideal for spray mounting artwork or applying lacquers or fixatives. 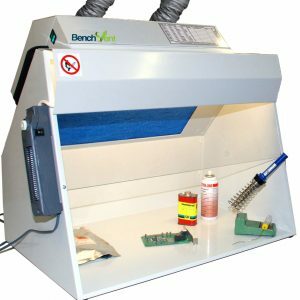 Demonstrating adequate control of risks to the health of employees, students and the general public from dusts, powders, mists, fumes, and vapours is the fundamental requirement of the Control of Substances Hazardous to Health (CoSHH) regulations 2002 and 2004. 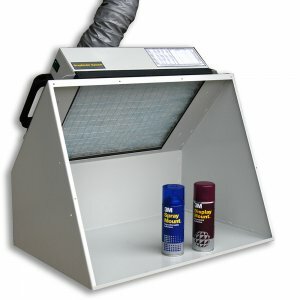 Steel construction finished in black –– plastic replaceable spray/fume shield – back stand / carry handle – particulate filter – carbon impregnated fibre filter – axial fan, external rotor motor type brushless, UL, VDE and CSA approved – sealed electrical wiring and switch, downstream of filters.